Protesters at a burning barricade in Masaya, Nicaragua, calling for the removal of President Daniel Ortega. 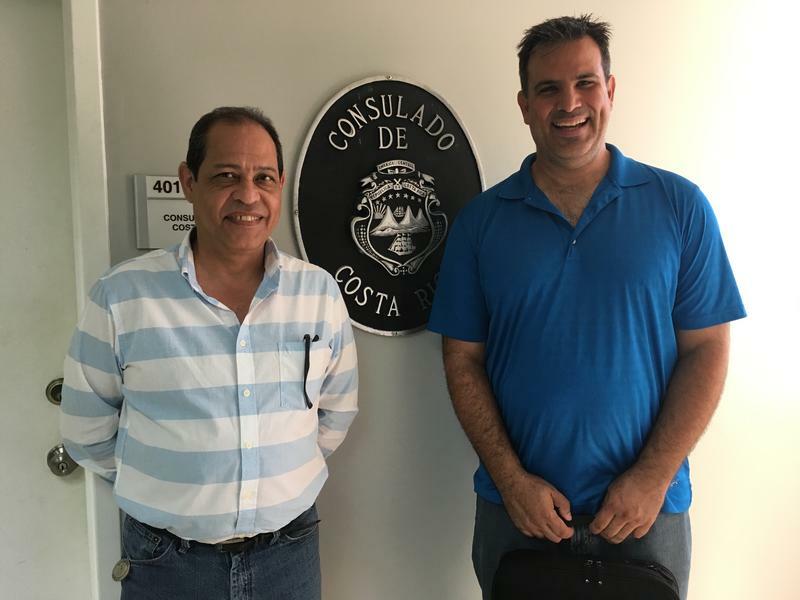 The Miami Herald's Kyra Gurney was in Nicaragua last week covering the unrest, and she spoke with WLRN’s Tim Padgett from Managua about where this crisis is headed. 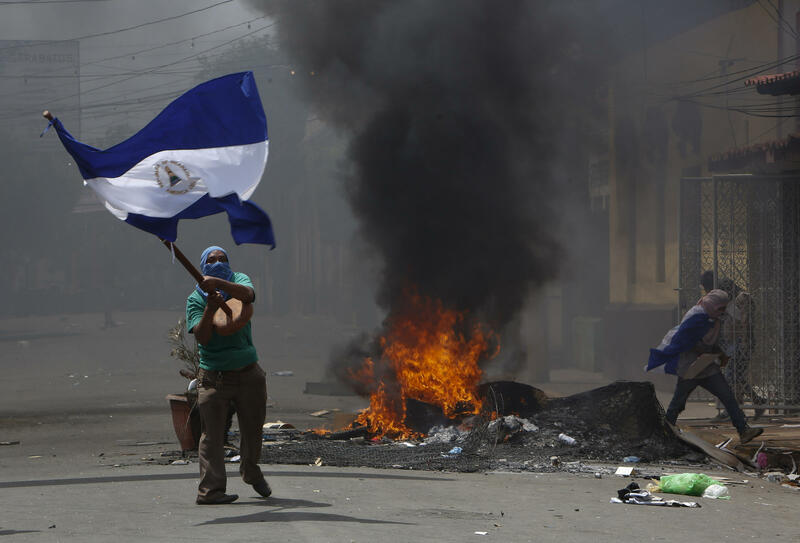 WLRN: This crisis erupted abruptly in a country that until recently seemed safe and stable compared to other Central American nations. Remind us what happened in April that sparked this unrest. GURNEY: In mid-April, Ortega announced reforms to the country's social security system, which would have meant that retirees received less money and workers had to pay more. And that brought a lot of university students out onto the streets. The police started firing on protesters and dozens of people were killed. The protests escalated, and now the protesters are asking for the resignation of Ortega and his wife and vice president, Rosario Murillo Rossello. Also – they seem angry at the fact that Ortega has trashed democracy. Yes, since he was elected for the first time democratically in 2006, he has been eroding the country's institutions and he's taken control of the judiciary and the country's electoral commission. So there is a perception here that the elections are a sham. And people are upset that both Ortega and Murillo have used this as an opportunity to enrich themselves. So why is this violence getting worse – and who's most responsible? Human rights groups here say while a few police officers have been killed, most of the victims, the vast majority are young protesters – and most often the bullet wounds are shots fired to the head and to their chest. So they're really shooting to kill. 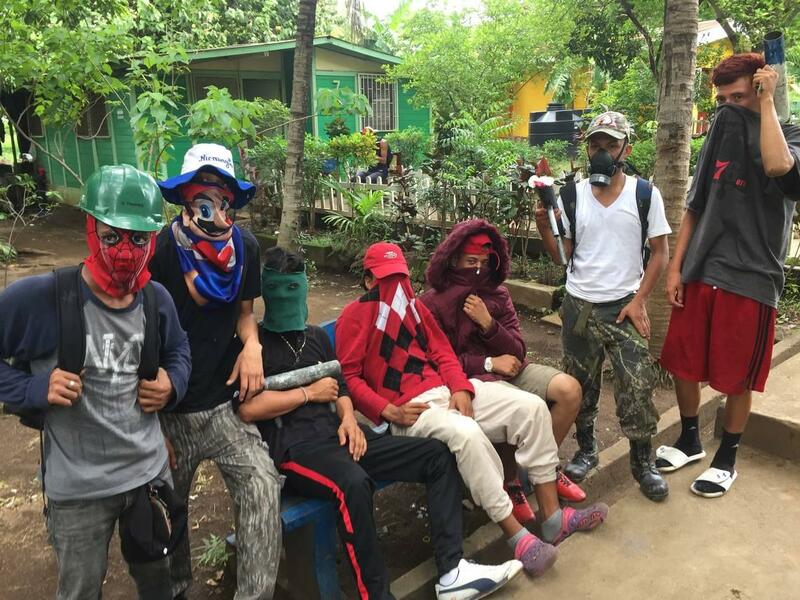 They believe these are riot police in many cases and then also perhaps police in civilian clothing – secret snipers I guess you could say – and then government-controlled gangs which people here are referring to as turbas. And that's helped these protests grow very, very quickly because Nicaraguans are seeing the government crack down on their children. And that's crossed a line that doesn't seem like the country is going to be able to come back from. You've spoken with several families around Nicaragua who've had relatives killed jailed or gone missing. I talked to a mother outside this jail in Managua known as El Chipote. Her 18-year-old daughter had gone missing a couple of weeks before. Then finally the national police sent out a press release saying that her daughter and her daughter's boyfriend are part of a criminal organization – which her mother says is absurd. She feels they were targeted because they had participated in the protests. And so her daughter was finally released on Tuesday. But the mom texted me to say that her daughter hasn't been able to leave the house because there are men outside in unmarked cars and on motorcycles without license plates circling the house – and she's just really trying to find a way to get her daughter out of the country. You mentioned in your reporting that despite the growing unrest, Ortega's departure appears unlikely. Why? He's really known for being very stubborn, and no one really seems to think that he's going to cave to the protesters’ demands. There is now some talk of a national strike, but it doesn't yet have the support of the business community, and I think without that support it's unlikely to force Ortega out of power. 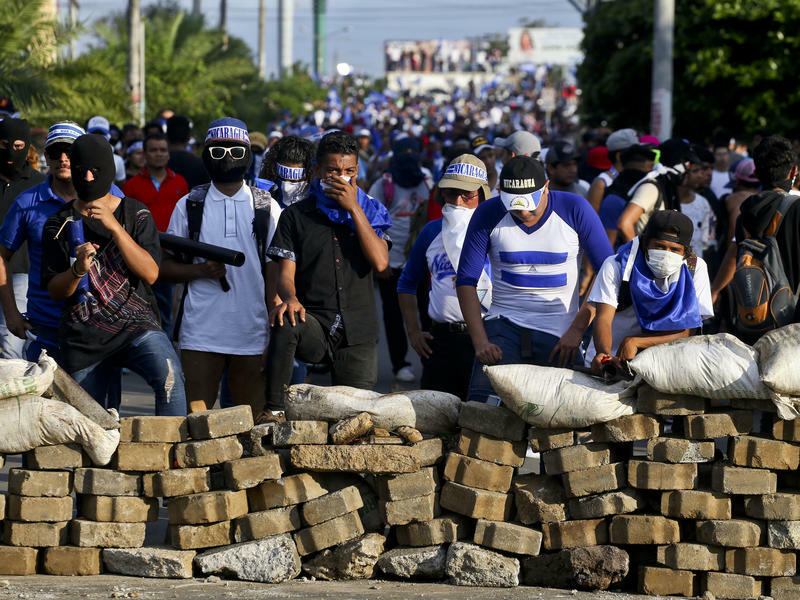 Young anti-government protesters at the National Autonomous University of Nicaragua in Managua. Ortega met again on Thursday with Nicaragua's Roman Catholic bishops and they say they gave him a proposal for a way out of this crisis. What can you tell us about that? Yes. Among those proposals are what they would like to see in terms of returning the country to democracy. I believe they include moving up presidential elections. And that would mean moving elections up from 2021 up to, say, next year? Yes I believe that's the idea. The Trump administration is putting more pressure on regime officials with visa sanctions to keep them from traveling to the U.S. Is that sort of thing making the anti-Ortega crowd more hopeful at all? I think it is. A lot of the student protesters say they feel really isolated. I think there is a feeling that finally they have some support internationally. What's your sense about where this crisis is headed? I think a lot of Nicaraguans were really hopeful that the bishops were going to be able to negotiate restarting the dialogue with Ortega. The fact that Ortega asked for some time to think about it – and then allegedly sent forces to attack a university – I think that's a troubling sign that the violence is going to continue to get worse. 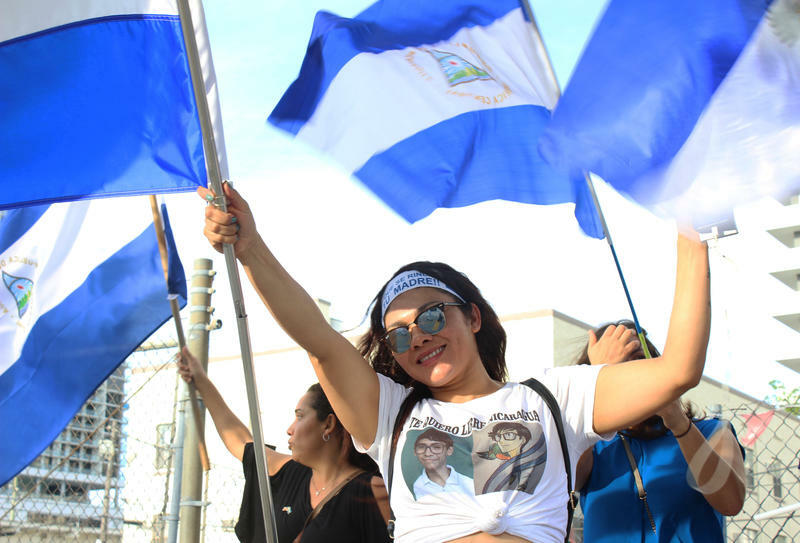 When demonstrators gathered Wednesday in Nicaragua's capital, Managua, their stated intent was partly one of mourning: Thousands had filled the city's streets to for what they called "the mother of all marches" — to commemorate the country's Mother's Day, and to remember the dozens who are believed to have died in the violent weeks since unrest erupted against President Daniel Ortega's government in mid-April. It was to be a moment of peaceful solidarity. It ended in bloodshed.